Set up in 2008, Greater Manchester TreeStation was one of the first tree stations to be established in the UK, and the very first in the North West. The TreeStation was born from the realisation that (a) treework arisings were often wasted due to lack of adequate recycling infrastructure or scale inefficiencies and (b) the wide scale uptake of sustainable solutions like biomass heating requires a high quality and secure supply. We integrate complementary activities such as treework and biomass production, to provide a fit-for-purpose local infrastructure on a viable scale. As an urban tree station, it acts as a hub for a broad range of wood-related activities, such as woodland management operations, arboricultural work and consultancy. It also provides a local, unique and innovative green solution to wood waste for the Manchester area, and produces a range of quality wood products for the local market, including woodfuels, timber and related products. Above all, the TreeStation is led by strong ethical views, which govern the way the business is run. Sustainability is embedded in the aims of the company. The TreeStation is a not-for-profit organisation, registered as Society for the Benefit of the Community (BenCom), making it both a democratic and accountable business. Local tree surgeon and consultant services Staffordshire Local tree surgeon and consultant services Staffordshire: Tree Heritage in Leek, North Staffordshire are a long-established, family firm of tree surgeons and arboricultural consultants. We work in areas covering Staffordshire, Cheshire, Derbyshire, Lancashire, Birmingham and the rest of the Midlands. However, we’ve been known to do Tree Surveys in London if necessary! We are Arboricultural Association Approved Contractors, members of ISA – International Society of Arboriculture, we are certified by Constructionline and are CHAS Accredited. All our staff are fully trained and hold NPTC certificates and qualifications, using the latest techniques and equipment. All work is carried out to British Standard 3998. We are landscaping contractors to Cheshire, Lancashire and surrounding areas of the North West offering a wide range of professional landscaping and environmental services. Our client base includes Forestry Commission, housing authorities, industrial and commercial sectors, property developers and domestic clients. We have over 30 years knowledge and experience to assist you in your landscape project, no matter how small or large it may be! 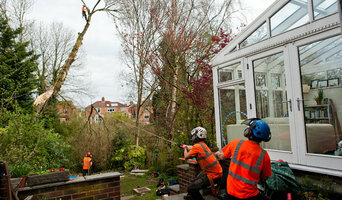 We are Warrington's tree surgeons. Once we start working on your property we will make it look more tidy and beautiful. We are helpful, polite and friendly to every one we meet. Macclesfield Tree Surgeon carry out all types of tree surgery work, including tree removals, pruning, felling and stump removals. We have a mixture of residential and commercial clients, including landlords, homeowners, property management companies, the local government and offices. We provide free quotes and with an aim to win your business, we are always competitive. We cover all aspects of tree surgery in Warrington and additional services from tree felling, tree removal, garden maintenance, garden fencing, hedge trimming, site clearance, stump removal, stump grinding, tree pruning, tree reduction and a 24 hour emergency call out service in times of desperation. 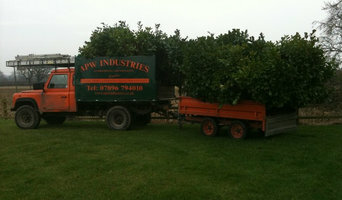 Uppercut Tree Services are a specialist team offering tree surgery in Winsford & the surrounding areas. We are a friendly, professional and passionate team that pride ourselves on delivering a great service. No job is too big or too small. Through our tree surgery expertise and experience, we are able to provide a superb services that will exceed your expectations. We also offer a wide range of additional services. From tree felling to garden maintenance, head over to our services for a closer look at full range of services. Additionally we also sell tree logs for log burners and offer fencing/decking services. If you or you’re company requires any of these tree surgery services, then please don’t hesitate in getting in touch with us today for a free quote. Our arboricultural consultants operate throughout the UK providing tree reports for land owners and buyers, and a wide range of other clients including architects, developers, insurers, estate managers and lawyers. Established in 1987, Emery Landscapes Ltd operations now include tree surgery, tree dismantling, tree felling, pruning and other tree maintenance work. We specialise in domestic and commercial landscape gardening, planting and construction, forestry planting and conservation projects involving woodland management, seeding, fencing and dew pond construction. Myers Tree Care provide a full range of tree surgery and arbicultural services across the Manchester and Stockport area. With over 20 years in business, we are one of the most trusted and reputable tree surgeons in the North West. What does a tree surgeon do? Basic tree surgery involves pruning trees that have overgrown; cutting down branches that are dangerous or growing too high, far or wide; or shaping the whole tree. 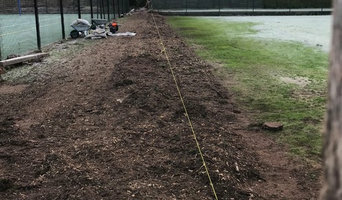 However, many tree surgeons in Stockport, Cheshire can carry out a number of other tree services, including tree planting, felling whole trees, trimming hedges or large plants, tree stump removal and even installing tree lights. Arborists will be more technically trained and can diagnose tree diseases as well as advising on how best to prune and maintain your trees. Unfortunately, trees don’t grow overnight but instead need a bit of lasting care and attention. To make sure they get the best start, ask a Stockport, Cheshire tree surgeon if they will carry out tree planting for you and give you advice on how to look after your new saplings. Arborists should definitely be able to do this, and most tree surgeons will too, but not necessarily so it’s always best to check before on the exact tree services they offer. Arborists will also be able to advise you on where to plant your trees and whether you have the suitable ground soil for them. When do you need a tree surgeon? If you’re having a problem with a particular tree, perhaps it seems to be unhealthy or there is a crack in the trunk, then it would be advisable to call an arborist or specialist tree care professional. Tree surgeons and arborists can specialise in willow, holly, oak or beech tree services, for example, so you may want to find a tree surgeon that regularly deals with particular tree problems. Whatever your tree care problem, you can find Stockport, Cheshire tree surgeons and more tree services on Houzz to help you. If you’re planning on landscaping your garden as well as adding some trees, then you should talk to gardening professionals at the same time as tree surgery specialists. Here are some related professionals and vendors to complement the work of tree services: Landscape Contractors, Landscape Architects & Garden Designers, Garden & Landscape Supplies. How long have you been in the tree services business? Do you have any relevant qualifications? 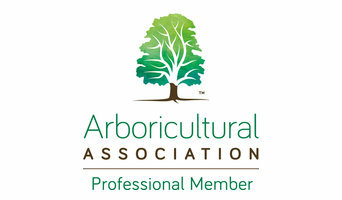 Do you belong to any tree surgeon or arborist associations, such as the ARB? Do you classify yourself as an arborist or a tree surgeon? What tree services do you offer? Will you advise me on how best to care for my trees or simply prune them for me? What projects like mine have you completed? Will you be able to tell me if any of my trees are protected? Who will be working on the job? When will you be able to start working on my tree(s)? Find tree service professionals on Houzz. Look in the Professionals section under Stockport, Cheshire tree services. You can look through arborists’ and tree surgeons’ portfolios and read reviews to see what past clients have to say.